Located in downtown Ottawa, the HI-Ottawa Hostel is within easy walking distance of Parliament Hill, the Byward Market and all the major downtown attractions. It offers a relaxing, friendly atmosphere, heaps of on-site parking, free wi-fi, linen and towels. Plus, a complimentary continental breakfast is now served daily to all guests of the hostel. 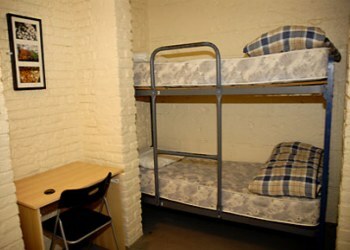 This hostel has a unique blend of shared and private jail cells as well as traditional shared and private hostel style rooms, 110 beds in total. They are open year round and you can get information on what is going on in town with our courteous front desk staff. You can start planning your stay by reading up their suggestions on what to do in Ottawa! On-site bar Mugshots offers Open Mic performances on Wednesday nights and dance parties on Friday nights. HI-Ottawa's Mugshots Bar is Ottawa's only jail bar! Nestled comfortably in the hostel's unique courtyard that houses the gallows that performed the last public execution in Canada, this place hails people from all over Tuesday through Sunday from 10pm 'till close. Thirsty? We proudly pour Beau's all Natural Beer, a local, award winning organic brewery from Vankleek Hill, Ontario. In the winter months, Mugshots moves inside into the former jail chapel - what a wonderful space to house a bar! 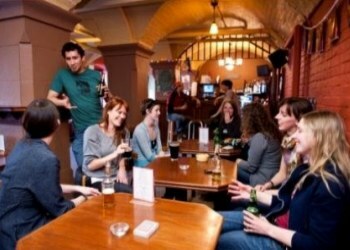 Check out our weekly and monthly events - hostellers always have free admission! 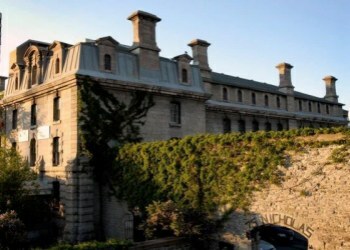 The Old Carleton County Jail was the site of numerous hangings, including the controversial hanging of Patrick James Whelan for the alleged assassination of politician Thomas D�Arcy McGee. On top of that, the jail was notorious for its inhumane conditions. 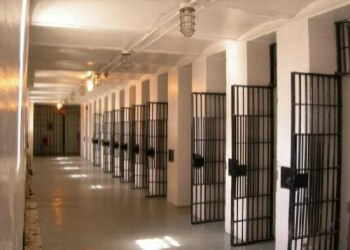 It incarcerated men, women, children, as well as murderers, the mentally ill, and those arrested for drunken behaviour. 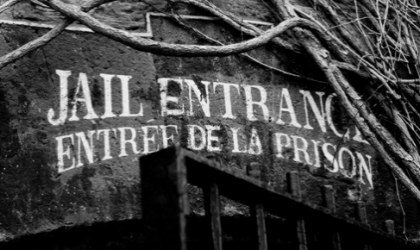 There are many stories that circulate about the actual haunting of the Carleton County Jail. Apparently hostel staff were required to remove all the locks on the doors because they were �locking themselves.� Furthermore, the ghost of Patrick Whelan has been reported to appear at the end of guests beds in the death row wing of the hostel.